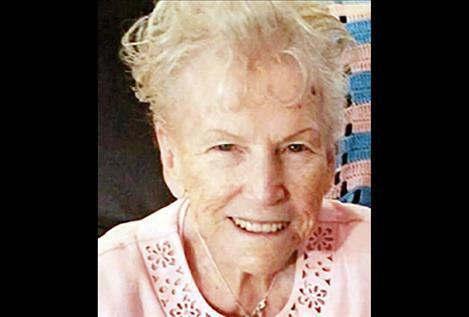 Teresa Thomas Lapka passed away on July 2, 2018, surrounded by family. Teresa was born March 29, 1929, in Philadelphia, Pennsylvania. She loved to dance and entertain. Teresa taught school in Unalakleet, Nome, and Mountain Village, Alaska. She has travelled all over the U.S.
Teresa is survived by her brother, Jerry Phelan of Mt. Airy, Pennsylvania; her children, John Thomas of Illinois, Christina Tisdale of Nevada, Mark Thomas of Alaska, Merle Thomas of Washington, Joel Thomas of Texas, Teresa Hickerson, Michele Casey and Monica Rose all of Alaska. She also leaves behind 30 grandchildren, 37 great-grandchildren and one great greatgrandchild. She will be laid to rest in New Castle, Pennsylvania, on July 28.